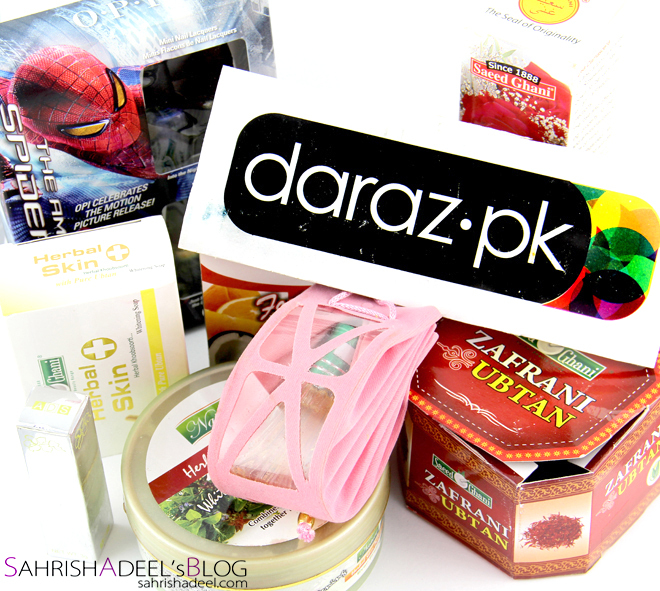 Daraz.pk - Store Review + Discount Code | Sahrish Adeel - Malaysia based Pakistani Beauty & Lifestyle Blogger! Online shopping has become my need since I hardly get time to go somewhere physically and spend time choosing right shades for me when it comes to cosmetics. Today I have a fast growing online web store from Pakistan for you who have recently started their international shipping. Daraz aims to provide quality branded products catering to the fashion needs of men and women across clothing, footwear, apparel, jewelry and accessories. 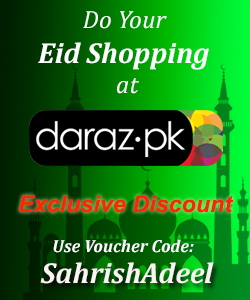 Daraz.pk offered me a 2500 PKR gift voucher to shop on their website to experience the service. For so long, I wanted to try Saeed Ghani's products and superhero stuff definitely was something I really thought would be fun. As far as the web store's layout and navigation is concerned, it is really good and professional. They have a huge selection of clothing, shoes and accessories for every pocket. You can literally spends days to navigate through the website as I know it took me about two days before I decided what I wanted for me. This kit included Zafrani Ubtan, Rose Water Spray, Lipstick, Attar, Foot and Hand, Herbal Skin Ubtan and Herbal Skin Polish but I got Zafrani Ubtan, Rose Water Spray, Attar, Kajal, Herbal Skin Soap (I might not use it more than once because it has intense fragrance that gave me allergy when I smelled it first), Skin Polish and Hand & Feet Whitening Cream. My husband was in Pakistan so I gave them his phone number. The company dispatched the order in about 2-3 days and they called before hand. Saeed Ghani's products went out of stock to they sent the OPI set first and that reached me as it is here in Malaysia later that week. I had no idea they were going to send the rest of the products in next few days but at the start of this month, my in-laws came to visit me and handed me over another box from Daraz.pk. However, they sent me a remaining balance voucher of 1045 PKR via email but before I would have replied to that email, I got the remaining products. I think they would have called the number I gave them but my husband was not in Pakistan. Overall, I am pleased with the service, packaging, efficiency and above that; a quick and polite customer service. I got emails when my order was dispatched and the remaining balance voucher showed how systematic they are. But I would suggest Daraz.pk to increase their range in beauty section and have more quantity in stock because as a blogger, I agreed and accepted to replace items in my Saeed Ghani kit but most of the customers might not like it. For my gorgeous readers, use 10% discount code SahrishAdeel to shed off some bucks at checkout on their website. This code is valid for next three months.